Paws down, the best charm in town. 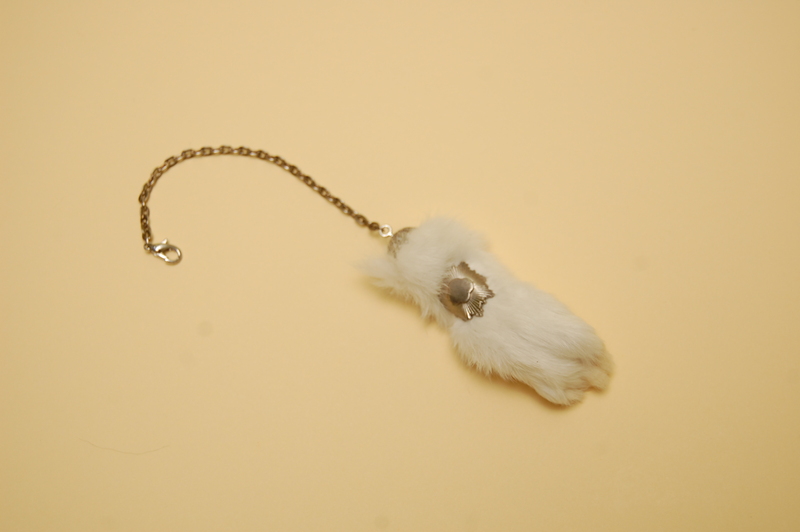 I recently was contacted by a lovely gal in Alberta, Canada about a custom rabbit's foot charm. While I have been thinking about making these for over a year now (it seems so obvious), it took this request to get the ball rolling. Now I'm excited to get more into production as they can be carried for good luck or hung from key chain, necklace, anything to be touched or held in times of stress, with the pleasant knowledge that every part of this creature was used. First, not any foot from a rabbit will do: it is the left hind foot of a rabbit that is useful as a charm. Second, not any left hind foot of a rabbit will do; the rabbit must have been shot or otherwise captured in a cemetery. Third, at least according to some sources, not any left hind foot of a rabbit shot in a cemetery will do: the phase of the moon is also important. Some authorities say that the rabbit must be taken in the full moon, while others hold instead that the rabbit must be taken in the new moon. Some sources say instead that the rabbit must be taken on a Friday, or a rainy Friday, or Friday the 13th. Some sources say that the rabbit should be shot with a silver bullet, while others say that the foot must be cut off while the rabbit is still alive. There is also the belief that rabbits are shape-shifting creatures which are actually witches. So a rabbit's foot sourced under the conditions described above is actually the foot of a witch. 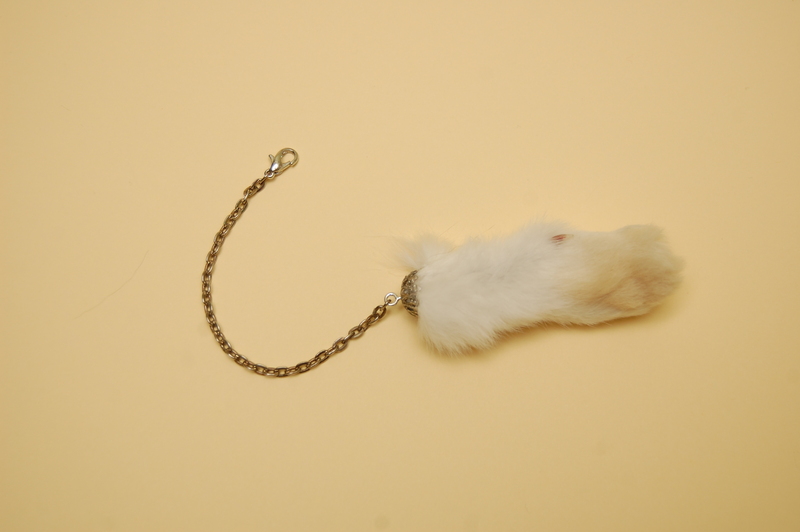 While the foot I used is actually the front left foot of a rabbit that I'm betting was not shot in a cemetery, I believe in taking the old rituals/lore and infusing them with new energy. All my work is saturated with thought and emotion; I like to think that I'm filling each piece with positive energy which will then benefit whomever receives it. And I actually admire witches so I hope this rabbit wasn't a shape-shifting lady...or else I fed her to my cats! Trippy thought, cats eating witches.